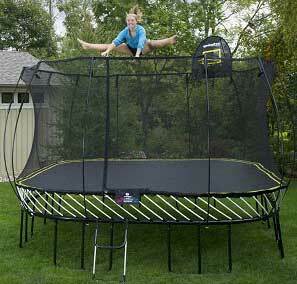 AlleyOOp PowerBounce, trampoline which always manages to get smile on our face. With rectangular version of “PowerBounce” we haven`t expected nothing less. 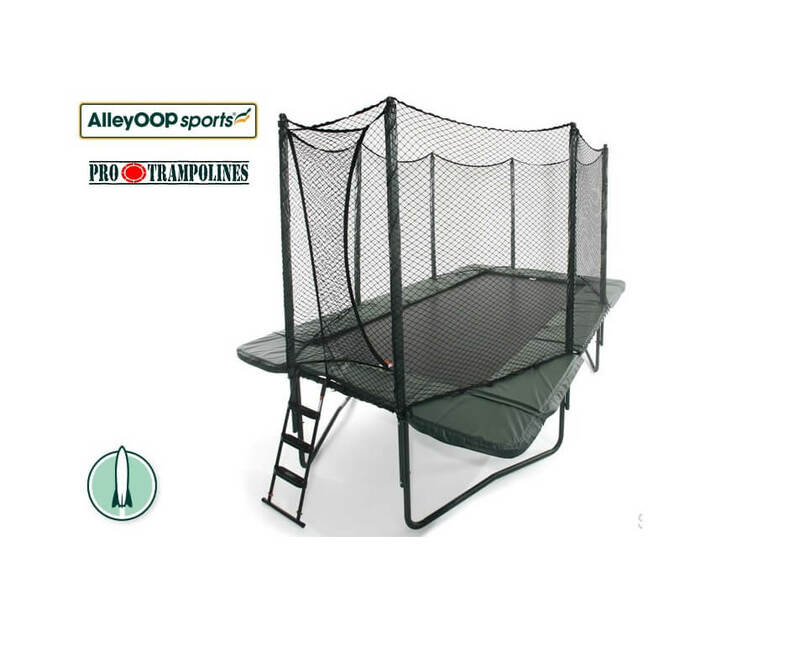 If it is only close to be good as round version of AlleyOOp PowerBounce round trampoline then we are currently reviewing, which is btw, one of the best rectangular trampolines you can buy. For recreational purposes, of course! 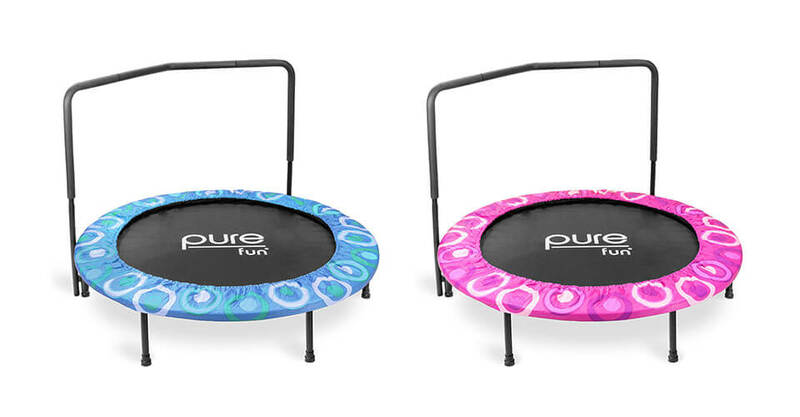 Rectangular PowerBounce trampoline is currently only trampoline which offers ways to tune it for different skill level, weight and even age. 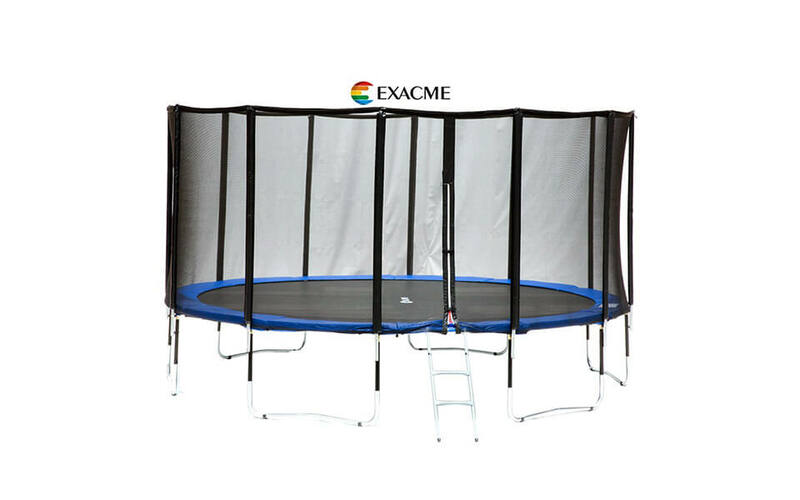 As in all AlleyOOp trampolines, frame is made of heavy-duty galvanized steel, which is 2-inches in diameter with 2.5mm thick steel walls. It is finished with beautiful texture of forest green powder coating, making a perfect fit into any backyard environment. 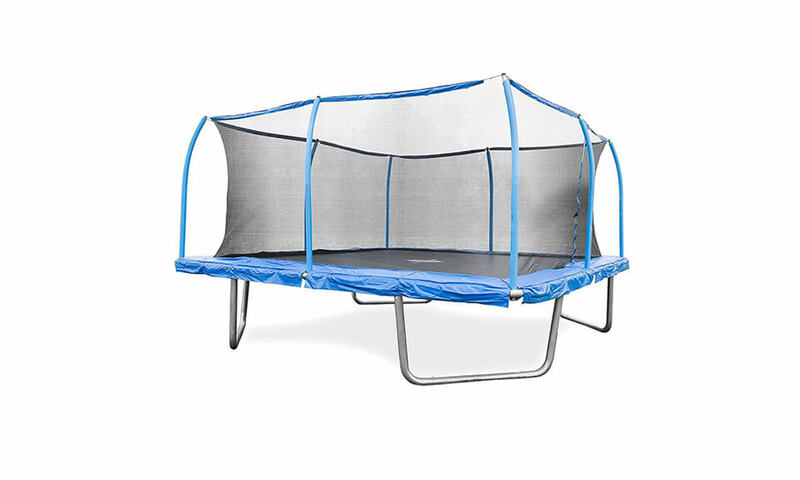 When it comes to size, with it`s rectangular design it can fit into smaller yards, but make sure you leave at least 5 foot around the trampoline! 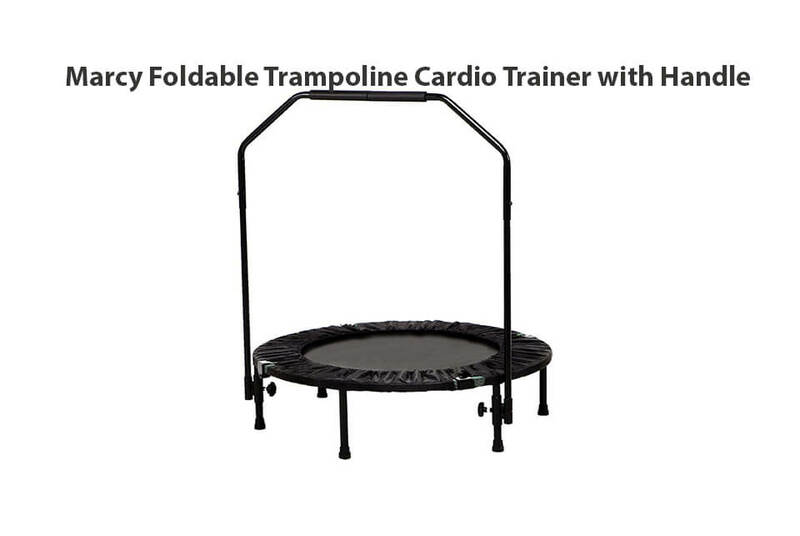 Extra-stretch springs which this trampoline uses provide spectacular bounce. 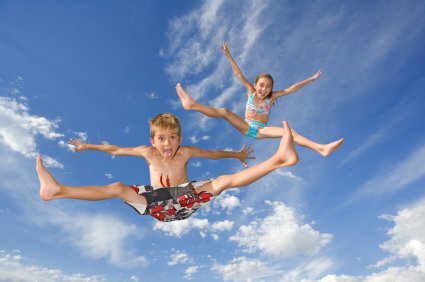 There is total of 164 pieces of zinc-plated steel springs 10-inches long, 108 standard pieces and 56 used for PowerBounce! 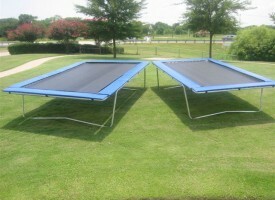 Mat is made from material called “Permatron”, one of the strongest trampoline materials used. One big advantage of Permatron is that it doesn`t stretch as much as standard, low-cost mat. 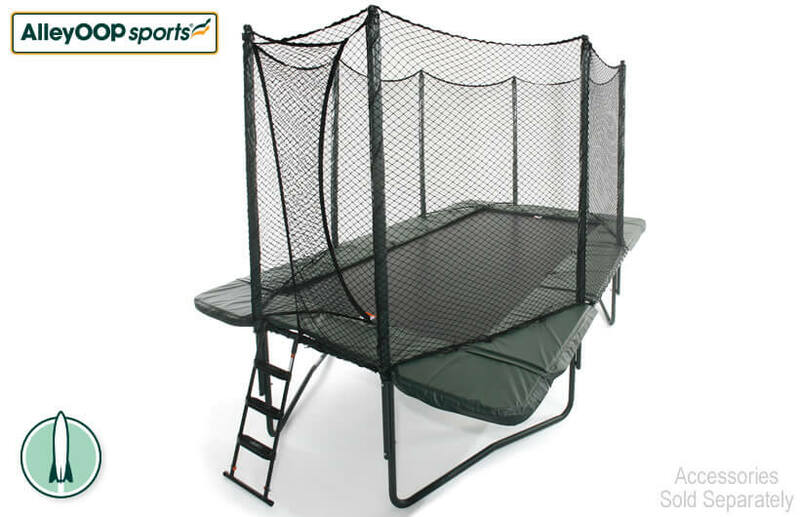 This trampoline uses mat with 10 rows of stitching making it one of the strongest on the market. 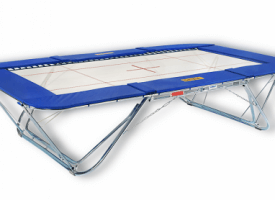 The complete jumping surface offers approx. 100 square ft of play space. 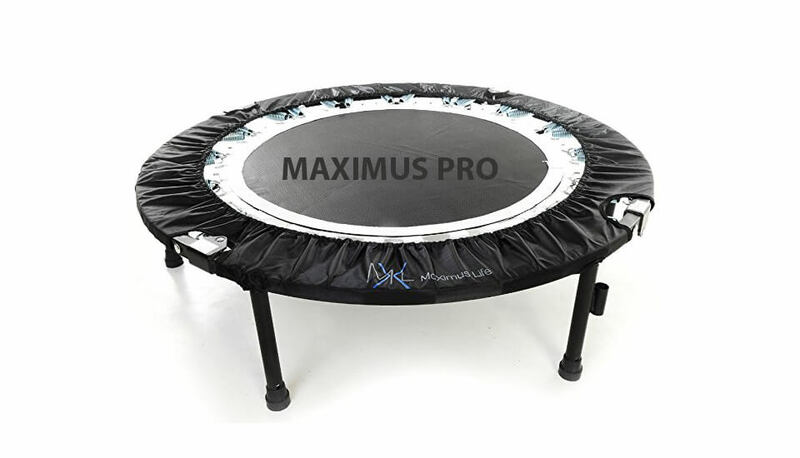 Trampoline safety pad is 14-inches wide x 1-inch thick, made from high-density, closed-cell foam. Outer shell is made from 21-oz reinforced PVC, water & UV resistant so no worries if it stays on sun or rain! 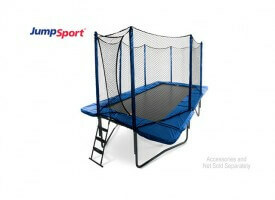 Trampoline safety enclosure used on this trampoline uses JumpSport patented “Triple-Fail-Safe” enclosure. Safety enclosure itself has implemented over 15 patented innovations, making it strongest and most secure enclosure system today. Enclosure is supported by 8 powder-coated & galvanized steel poles which are padded with vinyl shell filled with foam. Total height of enclosure poles is 7 ft. 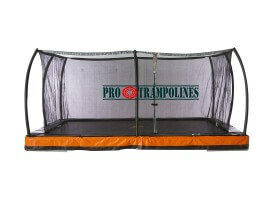 Assembly of AlleyOOp “PowerBounce” rectangle trampoline is very time consuming. Two people, 4 hours and and several drinks to get this done. What to say, when you try to assemble this huge be prepared for everything. Reading assembly manual can help, so make sure you do it before assembly process. 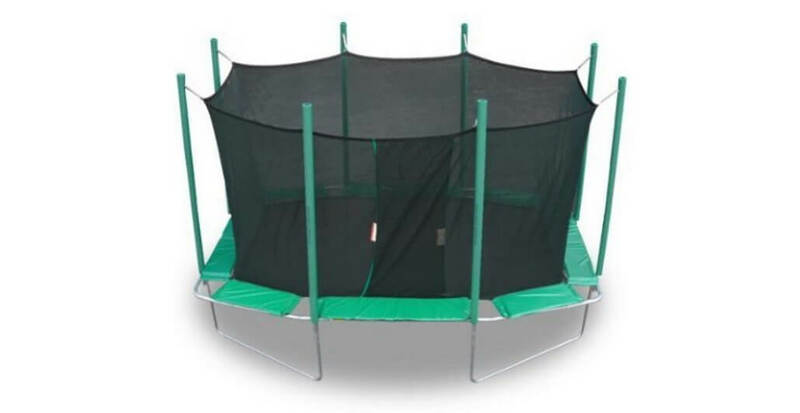 Like on all PowerBounce models, there is lifetime warranty on trampoline frame and enclosure poles as well as 5 year warranty on mat, enclosure and springs. 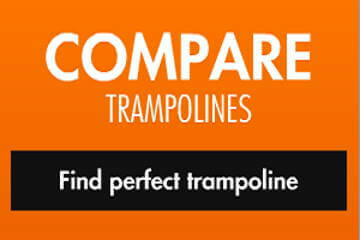 If you need trampoline that you can use for a very long time then this is the one! 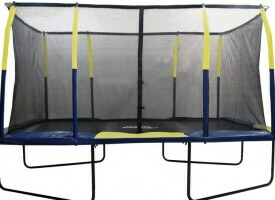 Good quality, long warranty plus exceptional bounce make this trampoline one of the best you can purchase today.